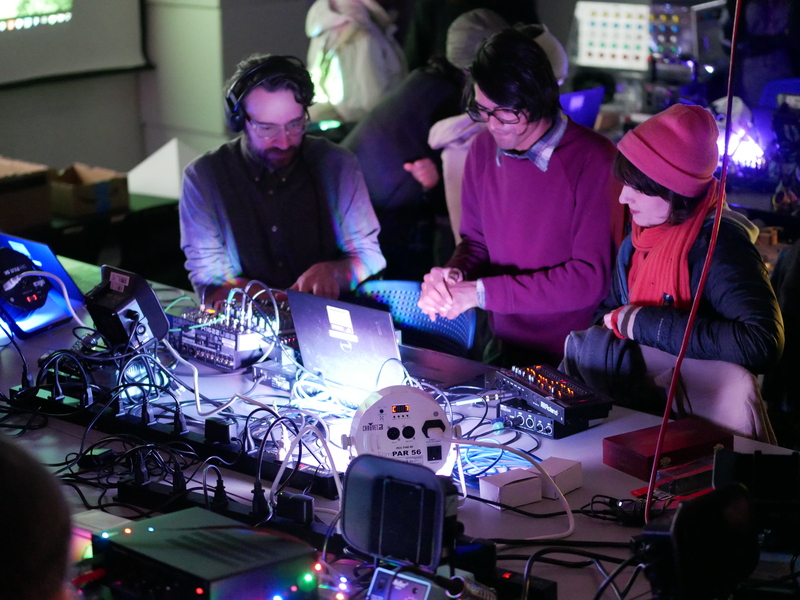 PCC’s Interactivity Lab is a maker space housed within the Music and Sonic Arts program in room 223 of the Moriarty Arts & Humanities Building. The Interactivity Lab supports our Creative Coding courses with 10 full electronics workbenches for work with sensors and microcontrollers, an 8′ by 10′ commercial LED wall, projectors, mappable objects, computer controllable lasers, a virtual reality station (an HTC Vive headset and a Microsoft Hololens), computer controllable stage and DJ lighting instruments, and a full complement of motion sensing, motion capture and machine learning equipment, a DJ and live electronic music rig, and 15 panels of eurorack modular synthesizers. The Interactivity Lab has open lab hours for students enrolled in our creative coding courses and supports a wide range of multidisciplinary student projects. What is STEM & CTE?